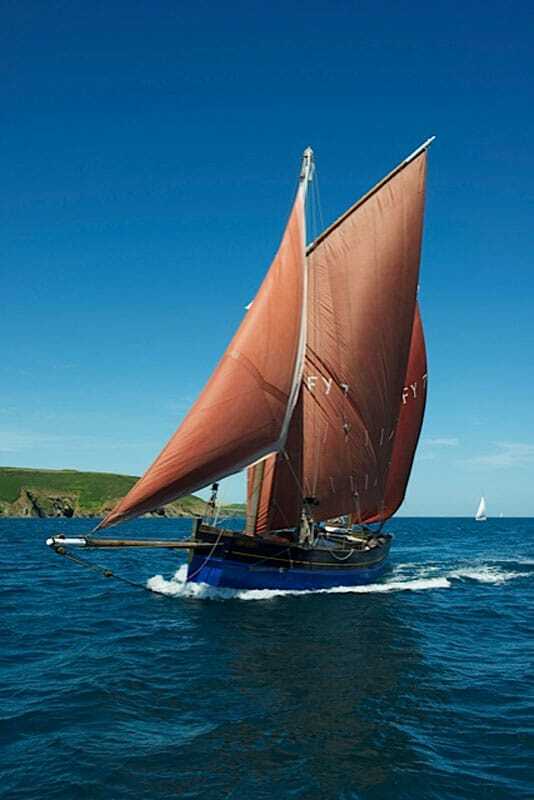 Set sail aboard this beautiful classic Lugger for a weekend cruising along the Devon coastline. 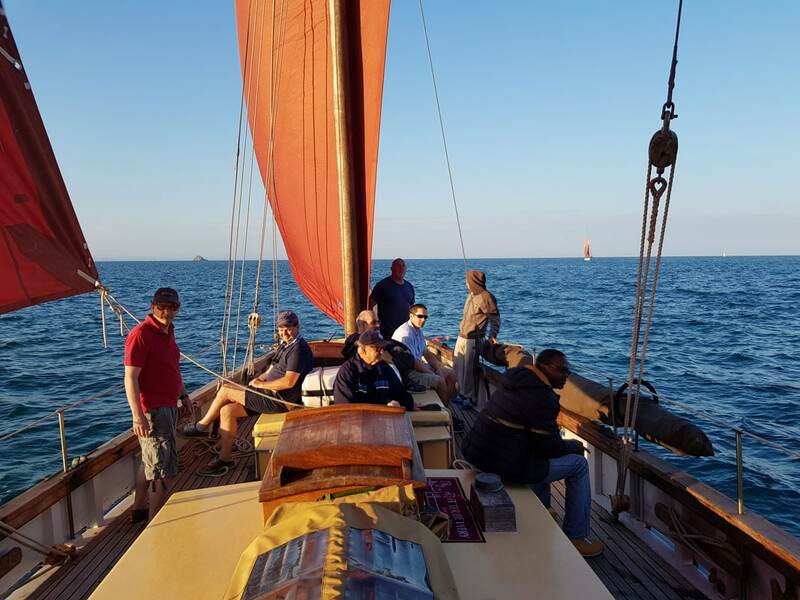 This weekend cruise is a great way to experience sailing on a classic lugger, whilst getting the best views of the south Devon coastline. 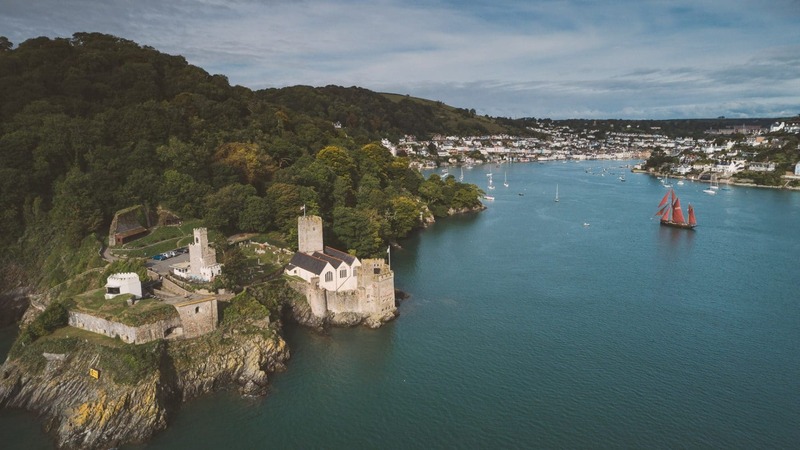 Our Daddy will set sail from the beautifully picturesque harbour town of Dartmouth, so allow a little time before embarking on Our Daddy to wander through the narrow streets and discover what it’s got to offer. Due to the wind and tides, there is no fixed route or itinerary. Sailing out of the River Dart, you may head west down the Devon coast. This could see you sailing past Blackpool and on to Slapton Sands and Slapton Ley – the largest freshwater lake in the south-west (and bird spotters – bring your cameras!). If you sail east up the coast, you’ll sail past on of Devon’s many Areas of Outstanding Natural Beauty, Berry Head. With porpoises and dolphins often playing in the ships’ wake, make sure you’ve got your eyes peeled on the water as well as on the land for the native seabirds – guillemots, kittiwakes, kestrels and gulls. Past Berry Head, Our Daddy may stop at Brixham – home to a wealth of maritime history. Brixham welcomes many other classic and traditional vessels to its harbour, and you can be transported back in time by the scene of wooden vessels moored in front of picture-perfect pastel fishermen’s cottages. From Brixham, Our Daddy may take you up to Torquay and round the headland to Babbacombe, a stunning cove with crystal clear waters and, when the sun shines, an almost Mediterranean feel. The crew are from the area, and have been sailing these waters for years – so they know the best places to anchor, the most beautiful areas to sail past and the prettiest towns to visit. Whether you’re a seasoned solo sailor or a group looking to do something a bit different with your weekend, Our Daddy’s crew will cater for all ages and abilities. With beautiful anchorages, amazing food and wonderful sailing, this is a delightfully different way to spend a weekend. 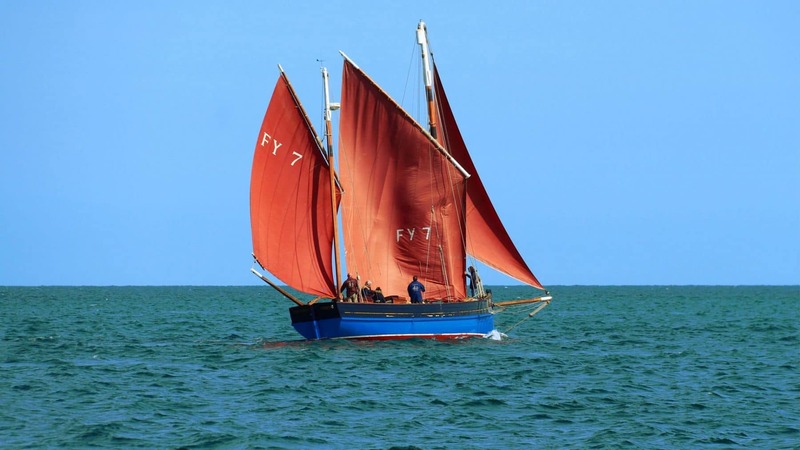 Built in Looe in 1921, Our Daddy was the last fishing lugger built of its type. Since leaving her fishing roots behind and becoming a charter vessel in the 1970s, she has since been renovated again and her rich history realised in 2017 when she was awarded a place on the very prestigious National Historic Ships register and awarded regional flagship of the year. Now based in the lovely seaside town of Dartmouth, Devon, Our Daddy is proudly owned by friends Tim and Steve who operate her exclusively as a charter vessel; a much more relaxed approach than to her previous working life! Offering day experiences, long weekend or week-long charters, events and even some filming work, Our Daddy provides a perfect base if you want to learn more about life on the water or simply want to experience something new and relax aboard a ship full of maritime history. From day sails out of her hometown along the Devon coast to a crossing over the English Channel to the Channel Islands and even France; you’ll be in safe hands with Skippers Tim and Steve who are both RYA instructors and have a wealth of knowledge and experience on the water. Not only just a sailing experience, holidays on Our Daddy offer views of unique coastlines, abundant wildlife, and excellent food all included in the price. Tim and Steve look forward to welcoming you aboard Our Daddy and hope you enjoy the experience of sailing aboard this boat of Cornish Fishing history.